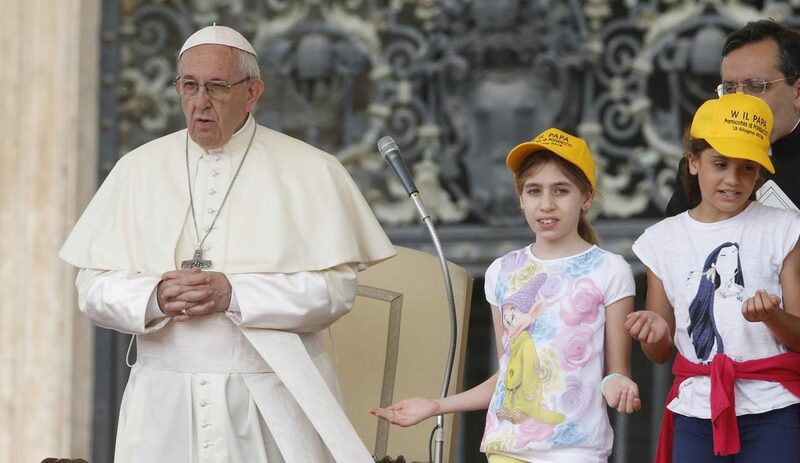 VATICAN CITY (CNS) — The worst enemies in a young person’s life aren’t the problems they may face, Pope Francis said. The biggest dangers are being unwilling to find a way to adapt, mediocrity by settling for the status quo, and fear, he said at his general audience in St. Peter’s Square June 13. “It is necessary to ask the heavenly father for the gift of healthy restlessness for today’s young people, the ability to not settle for a life without beauty, without color. If young people are not hungry for an authentic life, where will humanity end up?” he said. It is difficult to see why young people would choose then to follow those Christians who are not choosing “the original, if they see us putting up with half measures. It is terrible to encounter Christians (who only go) halfway, dwarf Christians who only grow a certain height and have a tiny, closed heart,” he said.